Juan Jose Saer's Scars explores a crime committed by Luis Fiore, a thirty-nine year old laborer who shot his wife twice in the face with a shotgun; or, rather, it explores the circumstances of four characters who have some connection to the crime: a young reporter, Angel, who lives with his mother and works the courthouse beat; a dissolute attorney who clings to life only for his nightly baccarat game; a misanthropic and dwindling judge who's creating a superfluous translation of The Picture Dorian Gray; and, finally, Luis Fiore himself, who, on May Day, went duck hunting with his wife, daughter, and a bottle of gin. Each of the stories in Scars explores a fragment in time--be it a day or several months--when the lives of these characters are altered, more or less, by a singular event. Originally published in 1969, Scars marked a watershed moment in Argentinian literature and has since become a modern classic of Latin American literature. Juan Jose Saer was the leading Argentinian writer of the post-Borges generation. The author of numerous novels and short-story collections (including Scars and La Grande), Saer was awarded Spain's prestigious Nadal Prize in 1987 for The Event. Steve Dolph is the founder of Calque, a journal of literature in translation. 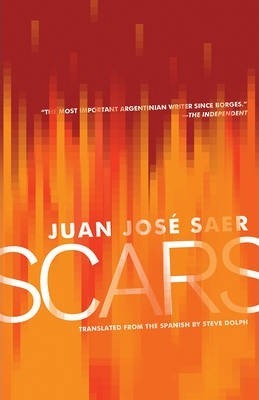 His translation of Juan Jose Saer's Scars was a finalist for the 2012 Best Translated Book Award. "The style throughout is simple, methodical, clear, and lovely in places. Its textures, colours, details and layers are rich, and much is soaked in significance. It s busy and it s clever, but it didn t suffocate or make me feel stupid. It s a book that demands to be re-read. "Crystal Jeans, "The New Welsh Review""